Since he couldn't be with me for my birthday today he sent me this. 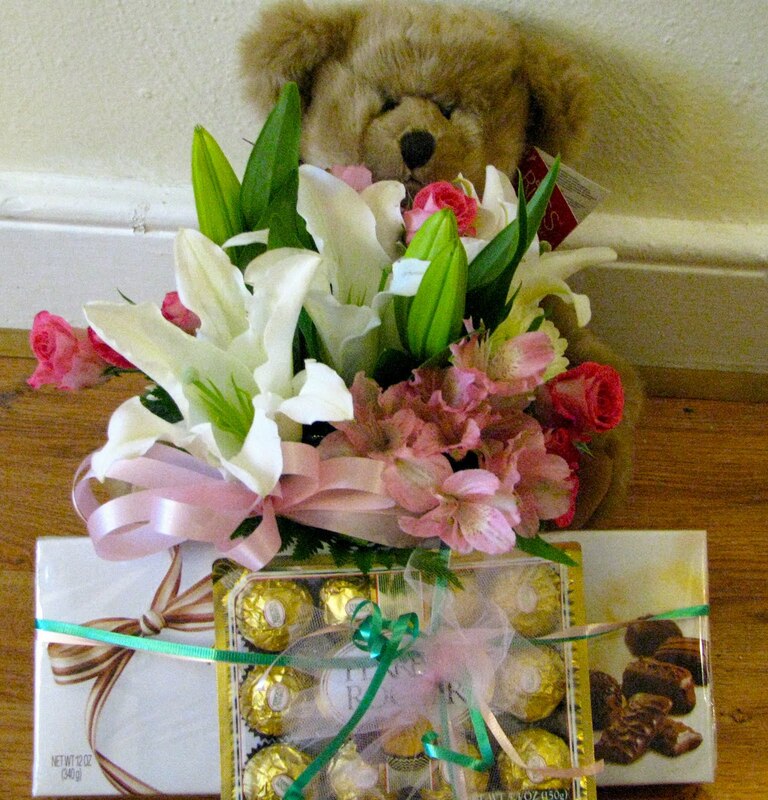 Not only did he send me flowers, but I also got an adorable bear and chocolates. And the best part? They weren't in Christmas colors. It's really hard to order anything this time of year without it being red and green or Christmas themed. Not even a winter theme. Thank goodness! So I TRULY appreciate the effort that was put into this. It got to me a day before my birthday, which irked my hubby, but it gives me all of my birthday to enjoy the gifts!